Artists Salvador Dalí and Marcel Duchamp’s influential works and distinct personalities are the focus of an exhibition taking place at the Dalí Museum in St. Petersburg from now until May 27. The first exhibition to focus solely on the friendship between the two avant-garde artists, Dalí/Duchamp explores the shared interests of the two men and the way their relationship influenced their work and lives. Dalí/Duchamp was on display at the Royal Academy of Arts in London until January 3. With around 160 objects–60 of which are pieces of art–the show is extensive for a travelling exhibition. It also features a handful of impressive, large-scale works that rarely leave their home institutions–such as Duchamp’s The Bride Stripped Bare by Her Bachelors, Even, on loan from the Moderna Museet in Stockholm. The Bride Stripped Bare by Her Bachelors, Even, also known as The Large Glass, is an abstract work that stands nine feet tall and consists of various materials placed between two panes of glass. The version on display in the St. Petersburg iteration of Dalí/Duchamp is a reproduction created in 1961 for an exhibition at the Moderna Museet–the Royal Academy show featured the Tate’s reproduction. The original is part of the Philadelphia Museum of Art’s permanent collection. 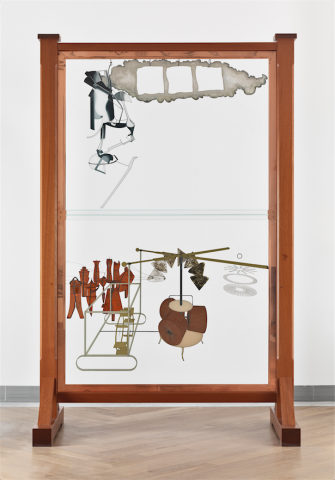 Marcel Duchamp, The Bride Stripped Bare by Her Bachelors, Even, 1915-23 (1991-92 edition), oil and lead on glass, wooden frame. Moderna Museet, Stockholm. Photo © Moderna Museet, Stockholm. Photography: Albin Dahlstrom / © Association Marcel Duchamp / ADAGP, Paris / Artists Rights Society (ARS), New York 2018. 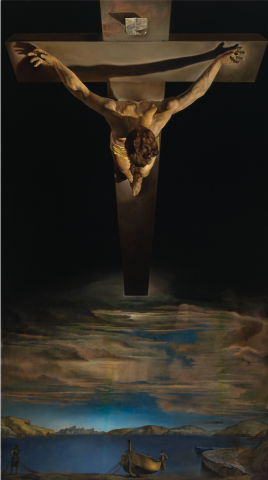 About 60 of the objects on display, including paintings, drawings, letters and surrealist magazines and publications, came from the Dalí’s permanent collection while the other 100 objects came from the 26 lenders involved in the exhibition. The exhibition was co-organized with Dawn Adès, an influential surrealist scholar working with the Royal Academy of Arts, in collaboration with the Gala-Salvador Dali Foundation and the Association Marcel Duchamp. Dalí/Duchamp is organized into four thematic sections that follow the artistic and personal development of both artists: Identities + a challenge to painting, Playing Games, Science + Religion and the Body + the Object. Brion will be presenting a talk on Duchamp at the Dalí as part of a series of lectures organized in conjunction with the exhibition. Entitled “Questioning Gender, with Duchamp,” the talk will take place at 10:30 a.m. on Mar. 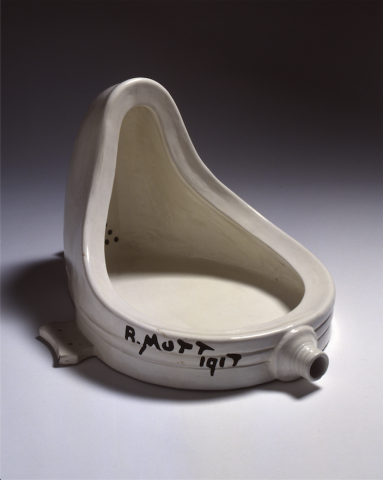 21 and will discuss Duchamp’s transgressive relationship with gender and his influence on later artists. The Dalí Museum is located at 1 Dali Blvd, St. Petersburg. Entry to Dalí/Duchamp is $17 with a student I.D. 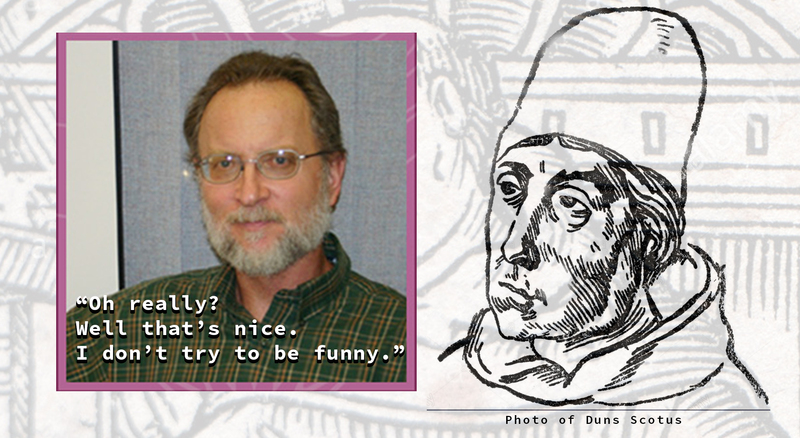 or $10 after 5 p.m. on Thursdays. Professor Brion is scheduled to present an alternative version her lecture at New College on April 6 at 12:00 p.m. in ACE 115 as part of Feminist Fridays. Marcel Duchamp, Fountain, 1917/1964, Photography: © Schiavinotto Giuseppe / © Association Marcel Duchamp / ADAGP, Paris / Artists Rights Society (ARS), New York 2018.